Last week, I had the pleasure of working alongside the London Borough of Havering Public Health Team, helping schools create their school food policies. 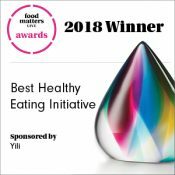 As a catering service within schools, we want to make sure we support all schools with their aims and goals in regard to health eating and work together to ensure the best outcome possible for our children’s future. Our menus in schools meet the Government School Food Standards, if a school food policy doesn’t support the work we do, it could undo the health benefits our menus provide. For example, if schools provide breakfast club, tuck shops during the day offering fast foods and confectionary, it works against everything our menus are set out to do. The main purpose of our school meals is to help children to learn to make healthy choices, and then fingers crossed they continue to live a healthy and balanced lifestyle in the future. Following the Public Healthy England recommendation in September 2016 to reduce the amount of sugar consumption, we reviewed our recipes and practises and reduced the amount of sugar in our desserts by 15%, the majority of our desserts are now 50% fruit based. We look to continue to reduce this to 20% by 2018. This highlights the importance of the schools food policy and the need to work together with the school and the parents to ensure this continues. We understand sometimes as parent’s financial constraints can affect the decision to purchase a hot school meal. 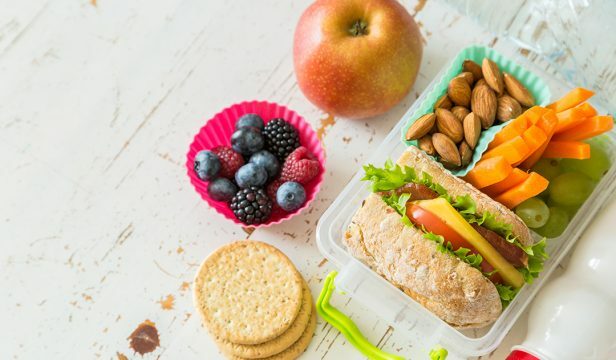 Packed lunches can be a chore, especially if you children are fussy or just want items such as a chocolate spread sandwich and crisps. Eating behaviour however is really influenced by peers, if little Timmy has Potato crisps, then you’ll be certain that little Jenny will want them too! By having a set school food policy this helps to ensure everyone on an equal healthy playing field. Don’t forget, for all KS1 (Reception, Year 1 and Year 2) school meals are free, being funded by the Government; this would be optimum time for children to try a healthy hot lunch. Lunch time is super important to your child’s wellbeing whilst at school: provides them with energy for the rest of the school day, helps the concentrate and provides nearly a third of their daily nutrition. 1. Savoury (including salad) : When considering a carbohydrate for this, I would recommend wholegrain carbohydrate due to the slow release of energy. For example: Tuna and Salad Wrap, Chicken Salad Wholemeal Pitta Bread, Pasta Salads etc. 2. Dairy: Always good to look for low saturated fat and low sugar dairy items, as some dairy products aimed at kids are riddled with both. These could include Rice pudding, Fruit Yoghurt, Cheese portions, and Custard or Yoghurt tubes. 3. Fruit & Vegetables: Fresh pieces of Fruit such as a Banana, Grapes, chopped up Apple, Satsuma. Maybe Carrot or Cucumber sticks, Pepper fingers or Cherry Tomatoes. 4. An extra low fat/low sugar snack: Crackers, Rice Cakes, plain Breadsticks or plain Biscuits. 5. Drink: Hydration is important throughout the day. Fresh water should always be available at schools; therefore you shouldn’t have to provide one.